This Amish Mission Lateral File Cabinet has lots of space for hanging your files. The Modesto Mission Office Furniture will create a beautiful office look with style and fashion. We offer executive desks, credenzas, file cabinets and bookcases in this handsome Mission style. Standard features include 1” tops and full extension drawer slides. The Period Mission hardware is standard but other hardware is available upon request. 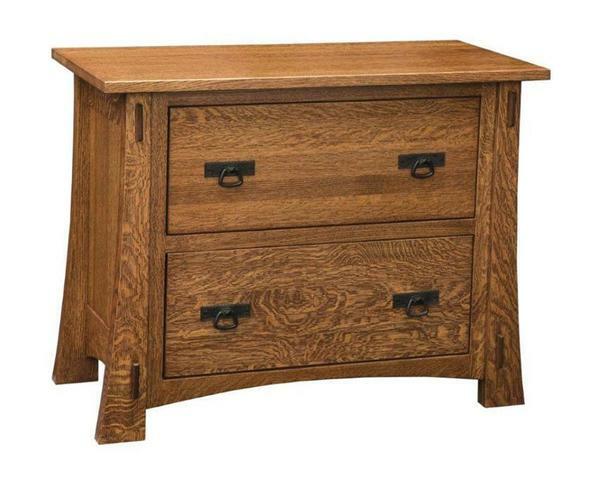 Be sure to check out the variety of Amish desks to accompany our Amish made file cabinets.